Cataract surgery has undergone tremendous technological advances since the days of your parents and grandparents. In a given year, millions of patients will choose to have both their vision and their lifestyles improved, thanks to this life-changing medical procedure. Dr. Bunin is on the forefront of cataract surgery, and was one of the first doctors in the Lehigh Valley to be certified in the most modern surgical techniques. The good news is that you have encountered cataracts at a time when intraocular lens technology has taken a giant leap forward. No longer is the objective simply to improve your distance vision. Today, the goal is to enhance your vision with an intraocular lens (IOL) that may provide you with a full range of vision, minimizing your dependence on reading glasses or bifocals. 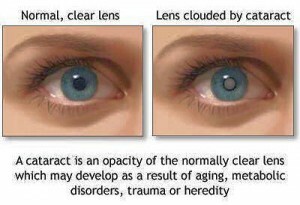 Cataract Definition: What is a Cataract? The eye works like a camera. Light entering the camera lens is focused on film at the back of the camera. Your eye also has a lens. Similar to the film, light entering the eye is focused by the clear natural lens onto the retina at the back of the eye, and then the optic nerve sends the images to the brain for interpretation. clouding. In over 90% of cases, clouding is caused by the aging process and exposure to UV light over your lifetime. A cataract is not a film over the eye, and neither diet nor lasers will make it disappear. Clouding of different parts of the lens can affect your vision in different ways. 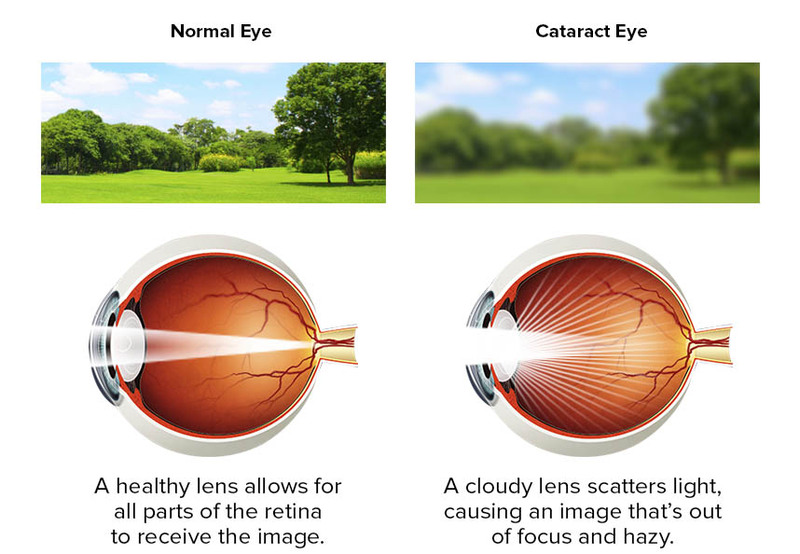 A cataract can be the reason sharp images become blurred, bright colors become dull, or seeing at night is more difficult. People with cataracts have more trouble seeing clearly at dawn, dusk, in the rain, or in bright sun or snow. It may also be why the reading glasses or bifocals that used to help you read, or do other simple tasks, no longer seem to help. Cataracts can develop slowly, causing very gradual changes in vision, or can grow quickly, leading to vision changes over weeks or months. Almost everyone will develop cataracts if they live long enough. Typically, people over 50 have some degree of cataract, and most people over the age of seventy have significant vision changes from cataracts that affect their daily functioning, particularly driving. Yet older patients may not be aware of the changes if they happen slowly. There are not a lot of treatment options available for cataracts. If the cataract has not matured to the point of interfering with your ability to perform daily activities, the cataract’s progression may just need to be monitored with regular check-ups or more frequent changes in your eyeglass prescription to refocus your eyes. Stronger prescription glasses or an anti-reflective coating on the glasses may also help. Unfortunately, cataracts are progressive and cannot be prevented. However, removing the cataract and replacing it with an artificial lens may improve your vision and, in many ways, significantly improve your quality of life. The time to have your cataracts removed is when the quality of your vision begins to limit your activities and enjoyment of life. When your eyes were young, your natural lens was both transparent and flexible. Because of this, your vision was most likely stable until you reached your forties. Around that time, you may have noticed that you had to hold a menu or a book farther and farther away to read it. Many people end up wearing a pair of reading glasses or bifocals to compensate for this aging of the eye. This condition is called presbyopia and eventually affects everyone, including those who are nearsighted, farsighted, have cataracts, or have had perfect vision most of their life. Intraocular lenses were first introduced in 1949 and are available today in all kinds of shapes, sizes, and materials. Acrysof® IOLs are made of the first foldable material developed exclusively for use in the eye. With more than 25 million lenses implanted, the Acrysof® lens is the most commonly used IOL in the world since they became available in 1994. Acrysof® lenses popularity are largely due to their ability to provide excellent visual results and a high level of patient satisfaction. Until recently, most patients had their vision improved with a monofocal IOL which can only focus on one point, usually at a distance. Although the quality of their distance vision was excellent, most patients still needed reading glasses to see near objects. For most cataract patients, life without reading glasses or bifocals is something they either experienced before presbyopia or just dreamed about. But today, the Acrysof® ReSTOR® IOL is turning those dreams into reality for many patients through its revolutionary apodized diffractive lens technology, which is designed to allow patients to see clearly at all distances. Acrysof® ReSTOR® IOL provides a full range of vision, decreasing dependency on reading glasses or bifocals. In the clinical study, 80% of patients receiving the Acrysof® ReSTOR® IOL reported that they never needed to wear glasses following bilateral cataract surgery. With the Acrysof® ReSTOR® IOL they can read a book, work on the computer, and drive a car at day or night as well as play golf or tennis with an increased freedom from glasses. In fact, patients were so pleased with their vision, nearly 94% of patients said they would have the Acrysof® ReSTOR® IOL implanted again. If you have astigmatism, you will need to have that corrected separately. Talk to Dr. Bunin about your options. 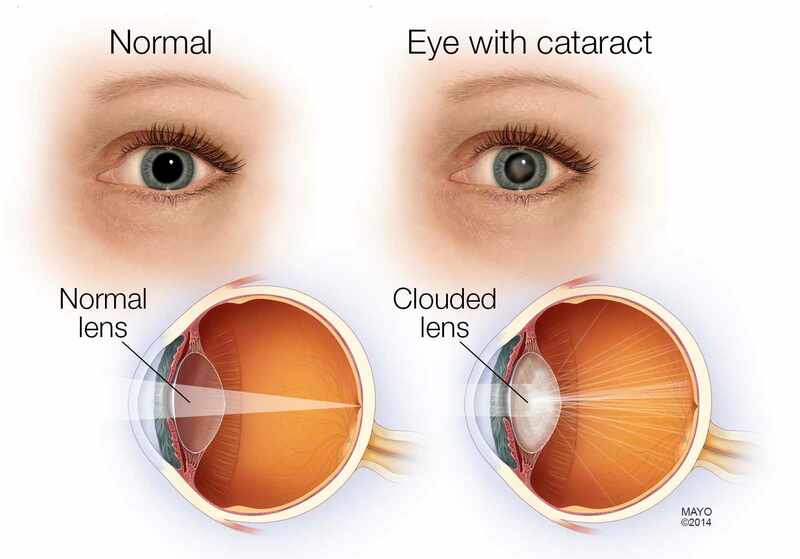 Cataract surgery is one of the most common procedures performed. It is typically an outpatient procedure requiring only a small amount of time. Patients are also generally able to return to their daily activities shortly after their cataract surgery. After the procedure, you’ll rest for a short while before you go home. You’ll need to use prescription eye drops to guard against infection and help your eye heal. For a few days, you may need to wear a protective shield, especially at night to prevent you from rubbing your eye. Dr. Bunin will typically examine your eye within 24 hours. Everyone heals somewhat differently, but most patients see well enough to return to most of their routine activities the day after surgery. Once both eyes have been treated, you may fully appreciate the Acrysof® Restor® IOL and realize that your cataract was one thing that you could definitely live without. As with any surgical procedure, there are inherent risks and your results cannot be guaranteed. Dr. Bunin will provide additional information on the risks and the benefits prior to having surgery in order to help you decide if cataract surgery and the Acrysof® ReSTOR® IOL are right for you.